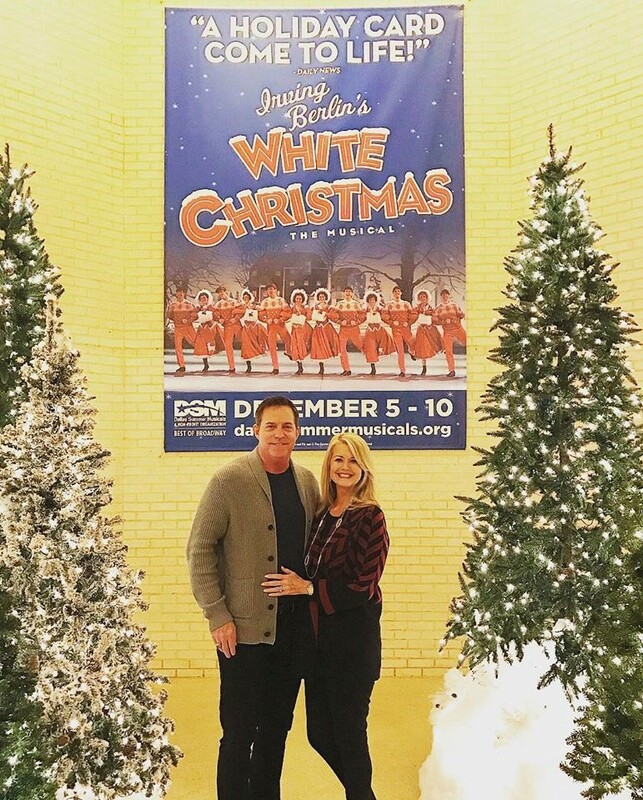 Irving Berlin’s White Christmas is in town and how great was it that on the night White Christmas opened North Texas FINALLY got some cold weather?! 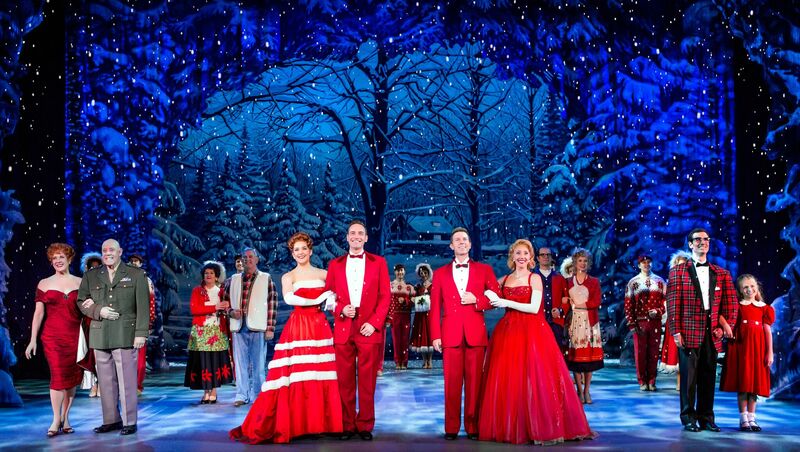 It was a perfect night to see one of my all-time favorite Christmas musicals and it was a perfect show to launch me into the Holiday Spirit! 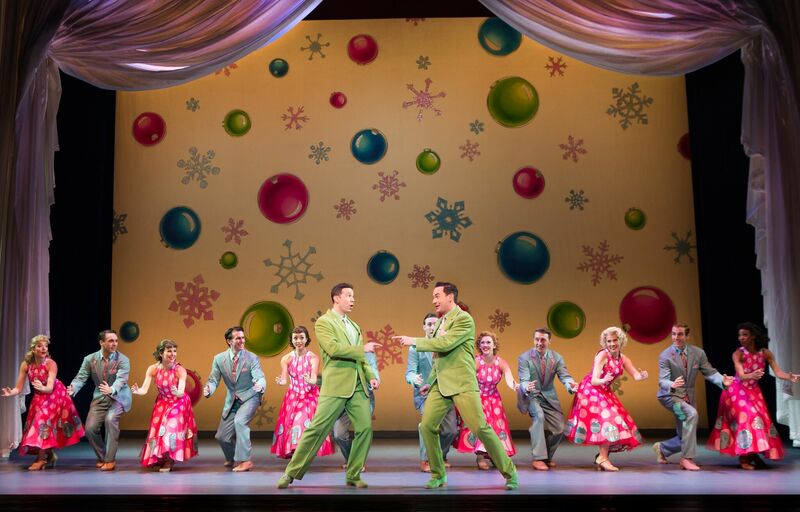 The musical is an adaptation of a 1954 motion picture White Christmas that starred Bing Crosby and Danny Kaye. 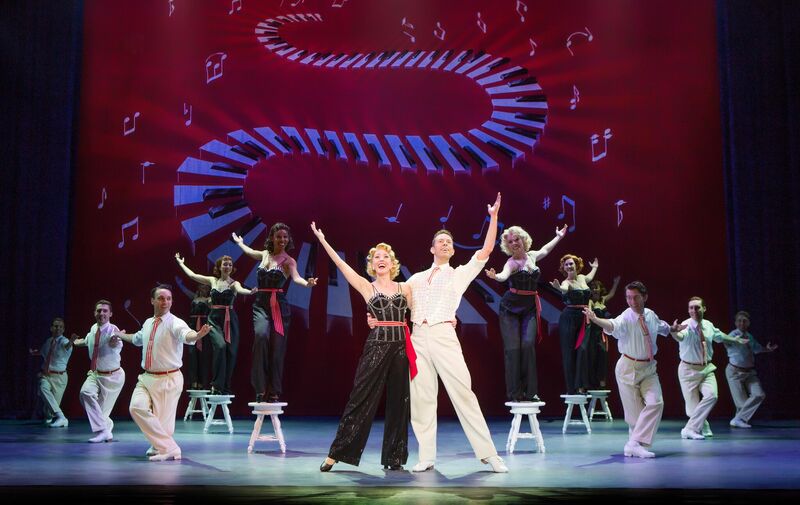 Everything about this critically acclaimed and old fashioned musical is magical – the music (Irving Berlin’s – need I say more? ), the dancing is incredible (go just to see the top dancing and ice skating numbers) and the players are perfectly cast. The sets are fun and the costumes are bright and colorful. The show will transport you into another time and place where you won’t want to leave. If you’ve never seen the movie or need a refresher – here’s the plot: It’s the story of a song-and-dance team (former World War 11 army buddies) in the mid 50’s who find themselves putting on a show in a quaint Vermont Inn barn. Meanwhile they are romancing the talented and beautiful Haynes Sisters. Coincidentally their general in the war happens to own the inn and needs some help saving it from the banks. Costars of note are Martha, the general’s sarcastic inn assistant (and love interest perhaps?) and his adorable and precocious granddaughter. It’s all so 50’s and I love it. 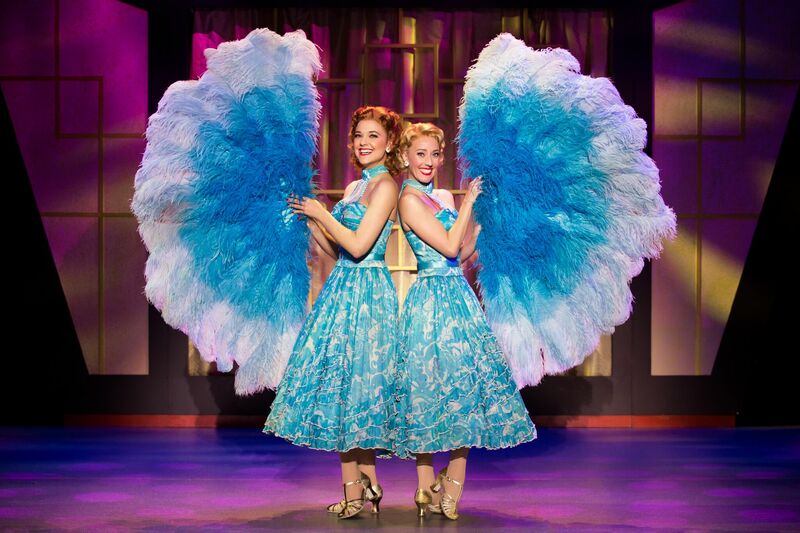 The musical includes some of Irving Berlin’s finest songs such as “Count Your Blessings Instead of Sheep,” “Happy Holiday,” “Sisters” (one of my personal favorites) “Blue Skies,” and the unforgettable title song,”White Christmas”. Starring in the lead roles includes Tony Award-winning actress Karen Ziemba, currently on Broadway in PRINCE OF BROADWAY, who plays Martha Watson. Sean Montgomery as Bob Wallace, Jeremy Benton as Phil Davis, Kerry Conte as Betty Haynes and Kelly Sheehan as Judy Haynes. They are all a delight to watch perform. 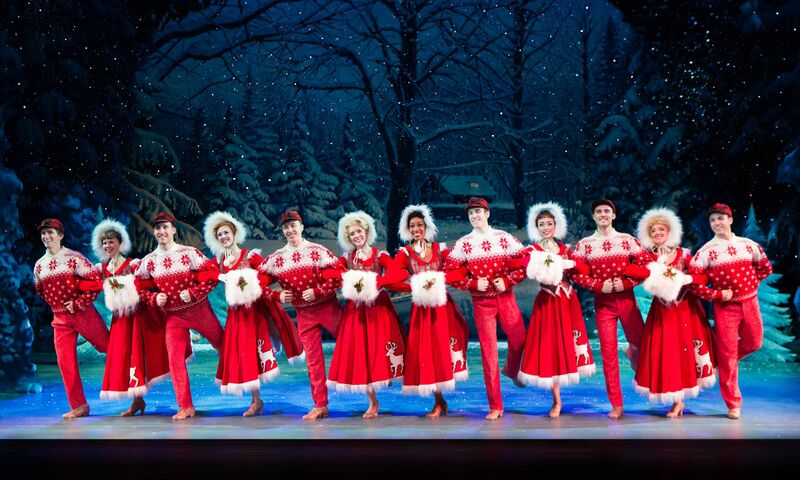 White Christmas is like a warm and fuzzy blanket that will wrap you up and make you fall in love with it all over again. I didn’t even miss the old classic movie it was such a great remake! Take your parents, your kids, or go with friends to see this Christmas Classic – you can thank me later!